Carpet Rods make a bland staircase a grand staircase. Shop for your Carpet Rods here today. 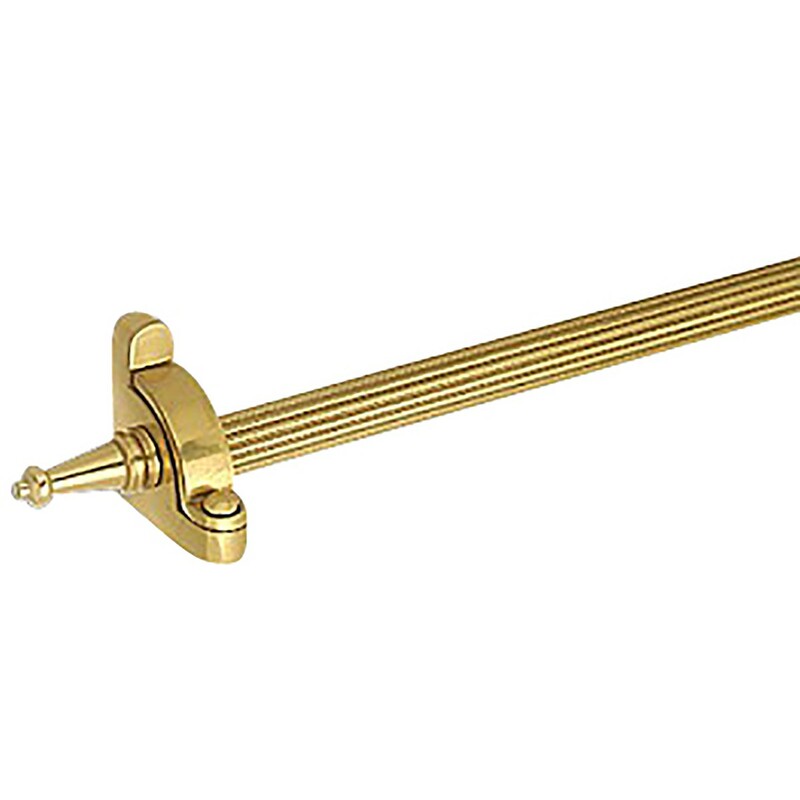 Carpet Rod Set of 13: Finally Tarnish-resistant RSF protective finish on all parts! Tubing, brackets and finials all come with protective RSF finish that lasts up to 20 to 40 times longer than standard lacquers! Swivel hinge brackets allow easy removal of tubing for cleaning. Our tubing is made of 0.032 gauge solid brass, measures 36 in. long, 1/2 in. dia. and can easily be cut to measure with a hacksaw. 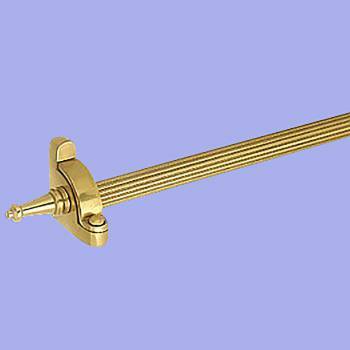 It is recommended that stair rod be at least 11/2 in. longer than the runner width allowing for 1/4 in. space on either side between the runner and brackets. Carpet rod cannot be the sole means to secure your carpet runner safely. Includes set of 13, 36 in. tubing, 13 pairs of swivel brackets with finial pair and screws. Tubing measures 3ft. long.